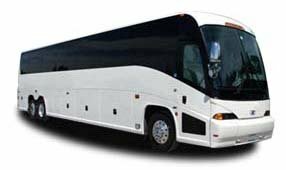 The 18-passenger minibus is great for small groups traveling short distances, or for shuttle services between venues around Los Angeles. Keep your small group organized no matter where you go, whether it’s a weekend corporate convention or a bachelorette party with your closest friends. You won’t need to worry about navigating or finding parking for your bus-- we’ll match you with an experienced driver who will handle all parking worries for you. Call our reservation specialists at any time of day at 310-667-6197​ for a free, personalized quote on your trip! We’re available 24/7 to help you book transportation for your Los Angeles wedding, corporate conference, sporting event, school trip, and more.